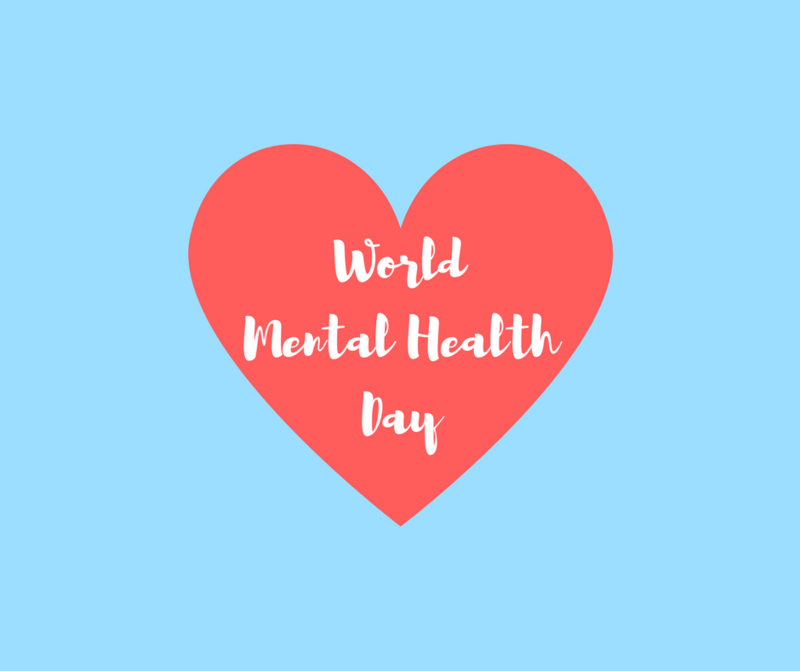 It’s Mental Health Health Day (10th October 2017), so we have decided to talk about the benefits of exercise for your mind. I often hear our trainers: ‘don’t stop!’…‘one more rep’…‘I know you can do it!’ You see, they don’t say it without the up-most confidence that you really can keep going. More often than not, our minds give up well before our bodies do. Causing us to fail at the last hurdle and never quite breaking through the goal barrier we have set ourselves. Getting fit is as much about our thinking as it is about our doing. You will not smash your goals if you’re not wholeheartedly (mind and body) rooting for the same thing. 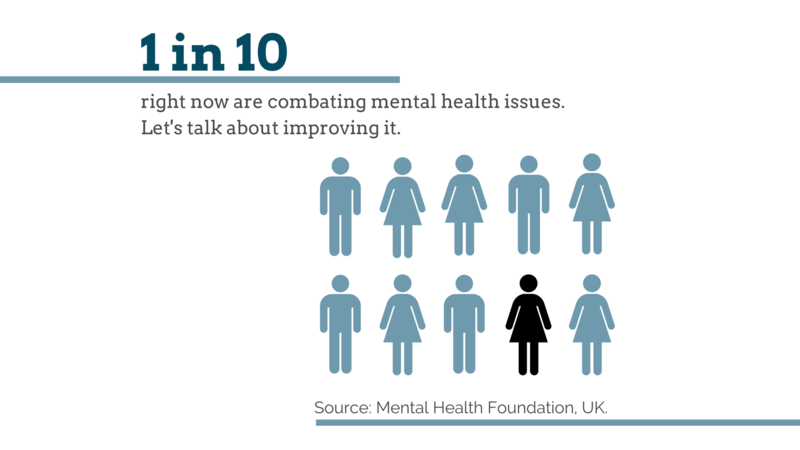 Specifically, we want to focus on improving mental health. Sadly, there are numerous mental disorders that our friends, family and loved ones are battling. 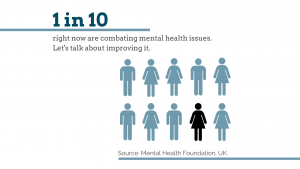 Some of the most common include depression and anxiety – in fact, it is estimated that almost 10% of people in the UK will be diagnosed at some point. That’s 1 person per every single fitness class at Train Together. Unfortunately, for many aspects of life, a diagnosis of this kind is crippling. It is very common for those with depression, anxiety or any other related disorder to shy away from a gym environment – the exact place where they might find the help they need. Here are a few reasons why exercise is the best medicine for a healthy, positive mental outlook. Exercise releases endorphins. Endorphins are hormones that are released in the brain in response to exercise (and other experiences – including orgasms!). They make us feel good – almost euphoric. We often see (and hear!) our members buzzing after a class – they put it down to the workout finishing – but the truth is your body is biologically programmed to feel good when you exercise. And trust us, it’s a feeling that sticks. I also believe it’s why many people get addicted to getting fit (I used to think they were bonkers wanting to exercise), but once you experience the rush… There is nothing quite like it! Exercising is social. Unfortunately, this turns a lot of people off. Many people combating mental health problems want to be as far away as possible from other people (and we all feel like that sometimes!). But staying connected with others is a huge step in the right direction for improving your mental health (read more, here). At Train Together we believe we have the right balance of small classes, welcoming staff and friendly members. Sometimes the most daunting task can be stepping through the front door but we promise you’ll feel better on the other side. Exercise improves you from the outside, in. Some mental health difficulties stem from issues associated with low self-esteem or a distorted body perception. We often hear people claiming that they won’t be able to take part in a class because they’re not fit enough or because they are too overweight. By avoiding classes they end up confirming the very worst they think about themselves and never truly finding out what their bodies are capable of. It can be a destructive pattern: staying away from exercise because you feel self-conscious and feeling self-conscious because you haven’t been exercising. Changing your mind-set is tough, but it’s made easier by exercise. Getting into a gym and making an active change can combat those fears, anxieties and false perceptions that you’re not good enough (when the truth is, you really are)!